We use the Dry Foam Method. It’s an effective low moister, rapid drying system that has been used for decades. 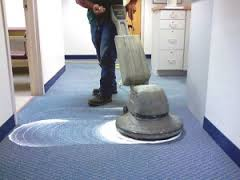 The first machine is a carpet shampooer with a brush that cleans your carpets to agitate the deeply embedded soil and bring it to the surface. The second machine extracts the loosened up soil and shampoo. 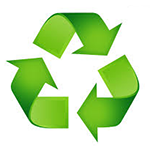 The shampoo is bio-degradable, non-allergenic, safe for kids and animals, its also phosphate and oil free. We use less then a gallon of water for the average 2 room area, just enough to make the shampoo into a foam. This is the same shampoo we would use in a daycare. Note: The cleaning process is not complete until the carpets dry and have their 1st vacuuming process by you, 24 to 48 hours later. This will make your carpets chemical free and any hidden soiling will be vacuumed off. Dry time can be anywhere between 8-12 hours unless advised otherwise. No heat, No socks or bear feet should be worn on the damp carpets.